Lettuce is a fairly hardy, cool-weather vegetable that thrives when the average daily temperature is between 60 and 70°F. It should be planted in early spring or late summer. At high temperatures, growth is stunted, the leaves may be bitter and the seedstalk forms and elongates rapidly. Some types and varieties of lettuce withstand heat better than others. There are five distinct types of lettuce: leaf (also called loose-leaf lettuce), Cos or romaine, crisphead, butterhead and stem (also called asparagus lettuce). 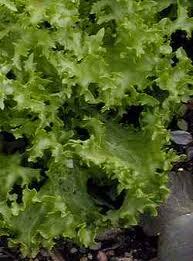 Leaf lettuce, the most widely adapted type, produces crisp leaves loosely arranged on the stalk. 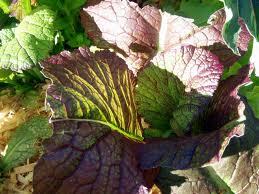 Nearly every garden has at least a short row of leaf lettuce, making it the most widely planted salad vegetable. 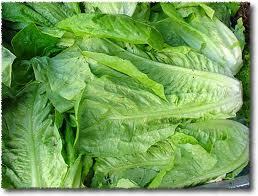 Cos or romaine forms an upright, elongated head and is an excellent addition to salads and sandwiches. The butterhead varieties are generally small, loose-heading types that have tender, soft leaves with a delicate sweet flavor. Stem lettuce forms an enlarged seedstalk that is used mainly in stewed, creamed and Chinese dishes. Crisphead varieties, the iceberg types common at supermarkets all over the country, are adapted to northern conditions and require the most care. In areas without long, cool seasons, they generally are grown from transplants, started early and moved to the garden as soon as the soil can be worked. They are extremely sensitive to heat and must mature before the first hot spell of summer to achieve high-quality heads. If an unseasonably early heat wave hits before they have matured, they almost certainly fail. In many locations, crisphead lettuce plants started in late summer to mature in the cooler weather of fall have a much better chance of success. 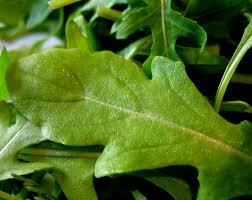 Mustard Greens: Mustard greens are the most pungent of the cooking greens and lend a peppery flavor to food. They originated in the Himalayan region of India more than 5,000 years ago. How to Select Mustard Greens: Look for a green color with leaves that don’t have blemishes or show any yellowing or withering. Mustard greens should have stems that look freshly cut that aren’t thick, dried out, browned, or split. 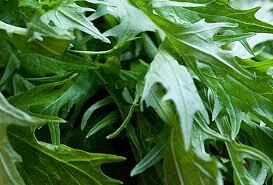 Endive is very closely related to the dandelion plant. Select endive heads that are crisp and bright green. Avoid heads with wilted or browning leaves. 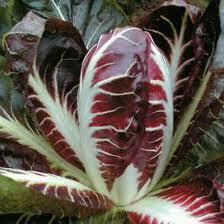 Endive is a member of the chicory family, which includes radicchio, escarole, frisee and curly endive. It has a crisp texture and a sweet, nutty flavor with a pleasantly mild bitterness — great served raw or cooked. 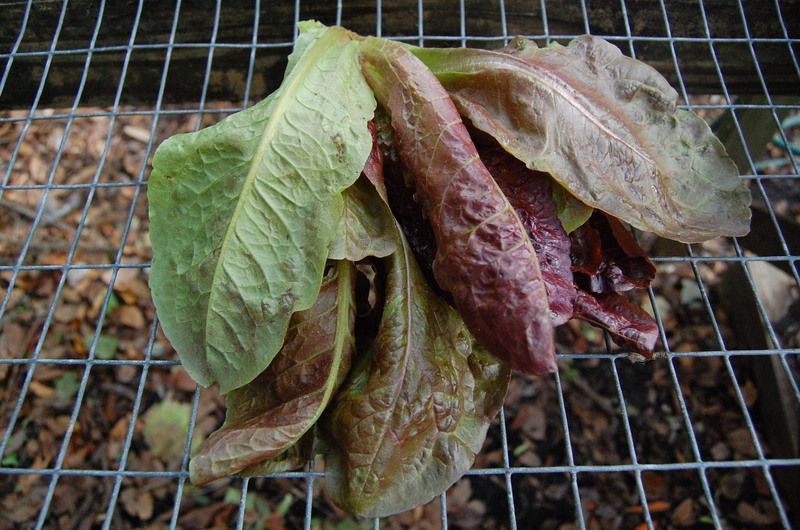 Discard any bruised or yellow leaves and remove any bands or ties that hold bunches together. Gently wrap unwashed mustard greens in paper towels and store loosely in plastic bags. Keep moist and cool in the lower part of the refrigerator in the high-humidity bin. Store for up to five (5) days. 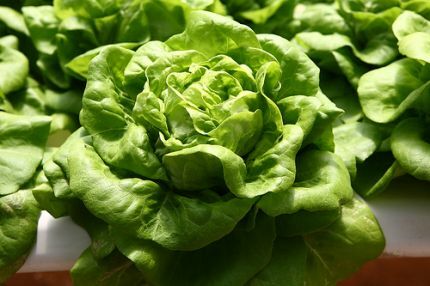 Lettuce tends to keep well in reusable airtight containers, salad spinner, or plastic bag with a dry paper towel in the crisper section of the refrigerator. Butterhead lettuces last approximately four days. The very delicate greens don’t last very long, so use quickly. Salad greens should not be stored near fruits that produce ethylene gases (like apples) as this will increase brown spots on the lettuce leaves and increase spoilage. Rinse lettuce just before serving in very cold water. Pat dry with a clean towel. Limp leaves can be revived by immersing in ice water for a few minutes. Tear lettuce leaves into pieces. If practical, do not cut or sliced lettuce leaves in advance. 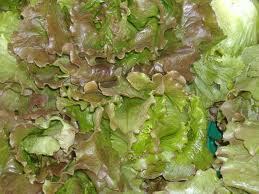 Damaged cut lettuce leaves release an ascorbic acid oxidase, which destroys vitamin C. Cut edges also discolor quickly. Dry leaves before serving. Salad dressing will cling to dry lettuce leaves instead of sinking to the bottom of the salad bowl. Toss with your favorite dressing just before serving (or serve dressing on the side) Lettuce leaves covered with dressing will quickly wilt. Generally lettuce is eaten raw, so consider removing any browned, slimy, or wilted leaves. 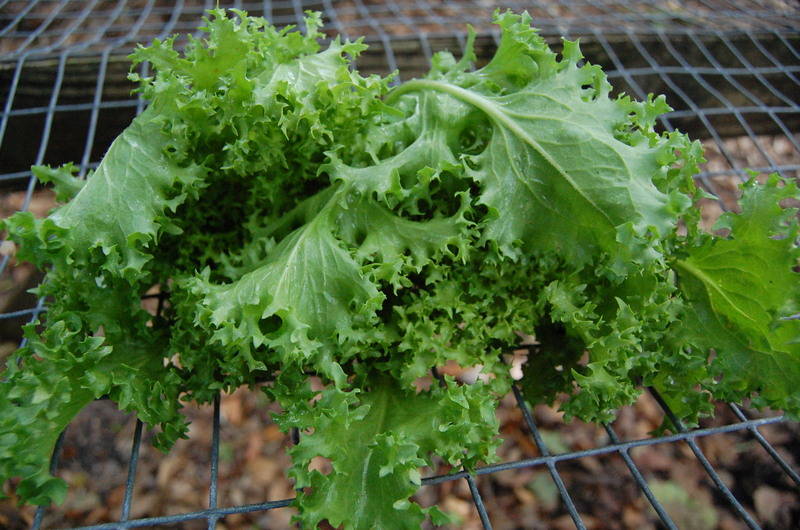 For all lettuce types, you should thoroughly wash and ‘dry’ the leaves to remove any dirt or lingering insects. If you eat lettuce often, it’s wise to invest in a salad spinner. Simply rinse the leaves and place in the spinner to remove the excess water. 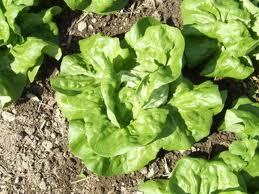 Butterhead lettuce is good in combination with other salad greens such as watercress. Dress it with a buttermilk dressing, a raspberry vinaigrette, or with orange juice, olive oil and tarragon vinegar. In addition to their most common use in salads, you can also braise, steam, sauté and even grill certain lettuce varieties to create a wonderful and different taste treat. The nutritional value of lettuce varies with the variety. Lettuce in general provides small amounts of dietary fiber, some carbohydrates, a little protein and a trace of fat. Its most important nutrients are vitamin A and potassium. The vitamin A comes from beta carotene, whose yellow-orange is hidden by green chlorophyll pigments. Beta carotene, of course, is converted to vitamin A in the human body. The darker green, the more beta carotene. According to the American Cancer Institute and the American Cancer Society, foods rich in vitamin A and C (antioxidants) offer protection against some forms of cancer. Along with other phytochemical, antioxidants reduce the risk of cancer of the respiratory system and intestinal tract. Lettuce, except iceberg, is also a moderately good source of vitamin C, calcium, iron and copper. The spine and ribs provide dietary fiber, while vitamins and minerals are concentrated in the delicate leaf portion.